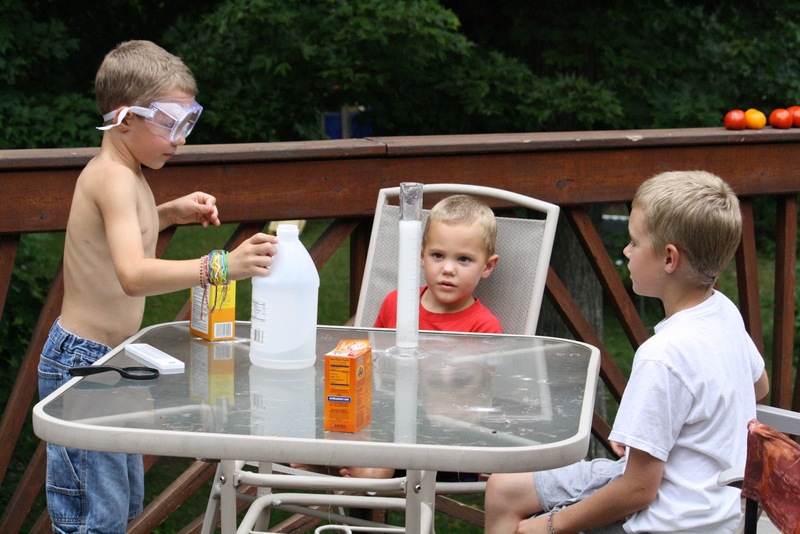 Did you know that nothing entertains boys quite like baking soda and vinegar? 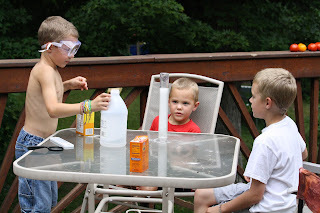 The boys really wanted to do an experiment the other day and this one is always a winner. They had so much fun! And everyone got to be involved. Since the weather was nice I just sent them all outside with a container to put the baking soda and vinegar in. The best part is that it really doesn't hurt anything, and it's cheap! Plus you probably already have the ingredients in the house. Guess I need to pick up some more next time I'm at the store.